with Herbs de Provence and a touch of rapeseed oil. Sometimes you just cannot decide what you fancy as a snack, enter the Mixed Medley selection. 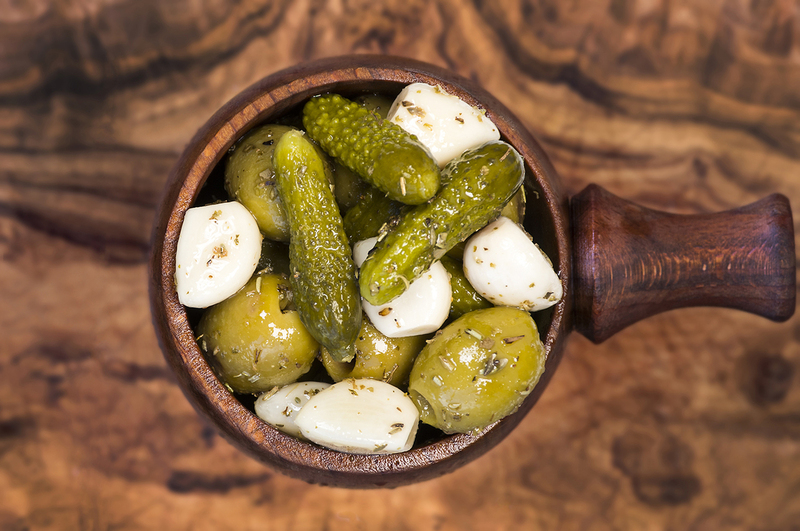 We have combined our classic pitted Greek olives with sour cornichons and crunchy pickled garlic. Best served with a glass of wine. Pitted Green Olives (68%), Cornichons (15%), Pickled Garlic (14%), Mixed Dried Herbs (2%), MUSTARD seeds,Rapeseed Oil. (Warning: Some olives may contain stones).